This little scamp came to Best Friends in summer 2018 when his family couldn't keep him anymore. Born in 2011, Harley is a pygmy mix from southern Utah. He is black with white and grey highlights, and loves to show off his looks. 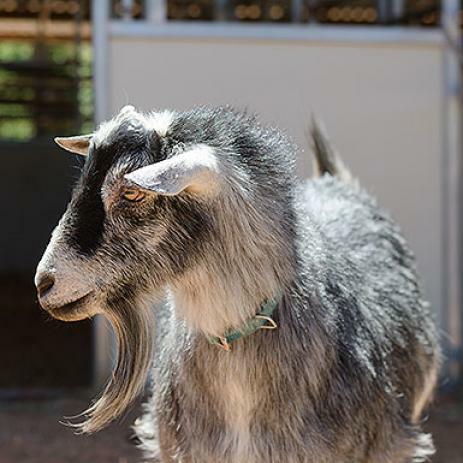 Harley loves being brushed, playing with other goats, and finding new ways to be a rascal. From southern Utah, this friendly boy needs a home with a family who will care for him and give him the attention he deserves.